Safety to the Power of 3. 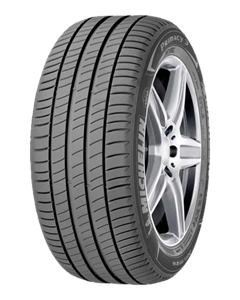 MICHELIN Primacy 3 keeps the entire tread block surface area of the tyre in contact with the road due to a new patented tread design with auto-blocking sipes. The new patented MICHELIN Primacy 3 compound, with its special tread pattern, optimises grip on wet and dry road surfaces to provide shorter braking distances.